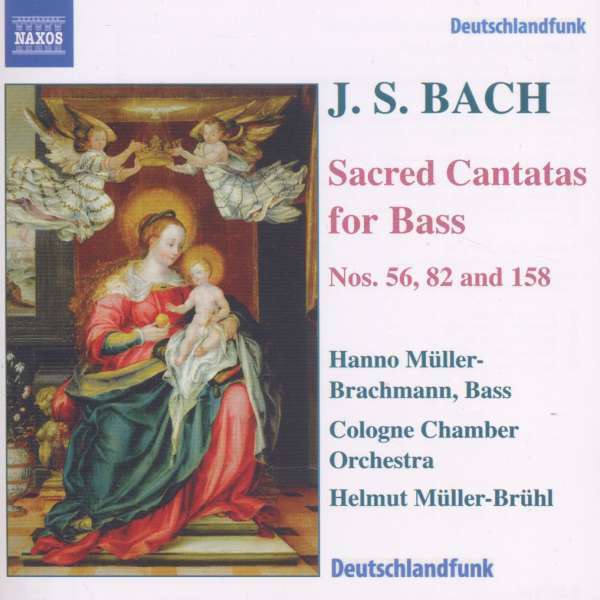 Intimately bound up with the Lutheran tradition, Bach's sacred cantatas are among his greatest, most heart-felt and life-affirming works. Ich will den Kreuzstab gerne tragen (I will gladly carry the suffering cross), with its repeated use of the metaphor of life as a voyage over troubled waters, depicts man's suffering and the joyful expectation of redemption. Ich habe genug (I have enough! 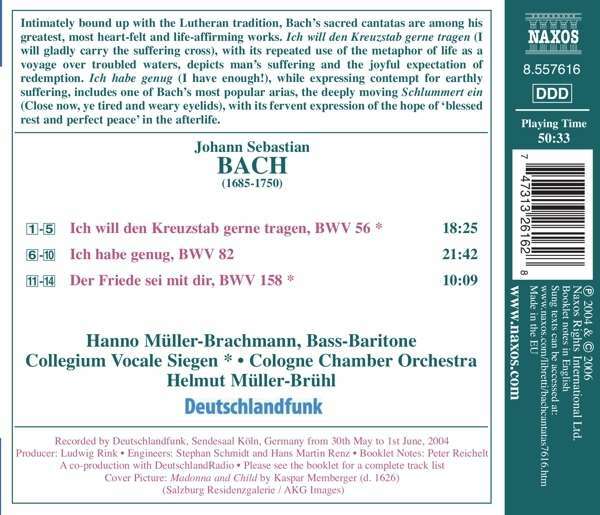 ), while expressing contempt for earthly suffering, includes one of Bach's most popular arias, the deeply moving Schlummert ein (Close now, ye tired and weary eyelids), with its fervent expression of the hope of »blessed rest and perfect peace« in the afterlife.